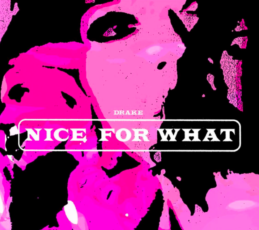 Love the Lauryn Hill looped sample from @murdabeatz_ on this new @Drake track. My man @shotbylarry of @ParallelsMedia_ says it’s going right to the top of the charts with God’s Plan. Murda Beatz went crazy on this vintage Lauryn Hill sample. I spent the majority of my flight from Atlanta to San Antonio to cover Ray Caldwell’s event this morning listening to the song. Larry Rhinehart of ParallelsMedia.com expects the song to catapult right alongside “God’s Plan” at the top of the charts. I completely agree. Each year, my goal is to incorporate the changes in the world of fashion into the upcoming season’s release of the #AnyGymIsHome apparel line. Some seasons, it’s a focused redesign on the logo while for others, my attention is focused more on providing innovative colors for the consumer. This season, it’s both. With the fashion world and the sports world continuing to blur the lines where one ends and the other begins on a daily basis, the timing is perfect for us to launch our Spring – Summer 2018 Collection. Special thanks is in order to both Geoff Lampe and Jay Kohr for their help on the design and production end of the line. This season will feature our signature t-shirt and hoodie selection in four color ways. Two of the color ways are inspired by Pharrell Williams latest NMD release while the other two are influenced by Nike’s Air Vapormax release at the tail end of 2017. 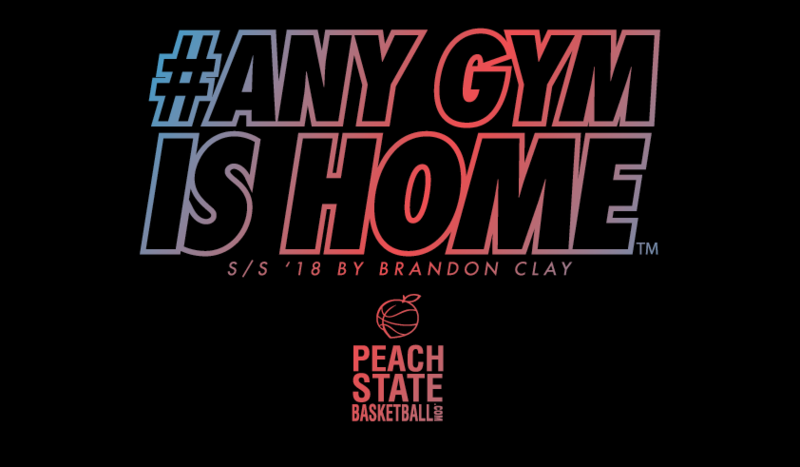 The full “S/S ’18 X Brandon Clay” launch will be available at PeachStateBasketball.com events nationwide starting April 20th weekend. We’ll add at least three if not four additional color ways for the summer season that will be available for purchase in early June. 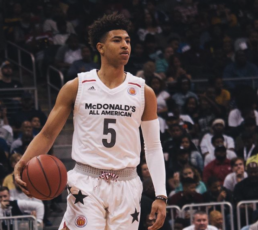 ATLANTA – The McDonald’s All-American Game is annually the most prestigious postseason game that a high school basketball player can take part in. Held at Philips Arena this year, our staff was on hand court side to document the event both through pictures and social media. Before Christyn Williams was the 2018 McDonald’s All-American Game MVP 🏆🍟🍔, she shined for the Arkansas Banshees at our events. RJ Barrett showed Duke fans exactly what they have to look forward to in 2018-19 finishing with 26 points on the night. Quavo was paying close attention to the action as well. Cardi B has been on a crazy wave for the past 12 months. She’s dropped herself or been featured on multiple No. 1 hits, joined Bruno Mars on a nationwide tour and is dating Migos member Offset. The two are set to have their first child together later this year. Right now, all eyes are on Cardi as her debut studio album is scheduled for a release next month. In anticipation, her latest single “Be Careful” was posted today. For the first time, the delay in Cardi’s album might have worked against her here. Be Careful is a solid track addressing infidelity in a relationship but doesn’t have the punch that her other single releases to date have possessed. It’s a different sound and will provide depth to the album. But with the wave she’s on right now, Cardi didn’t need another pre-album single unless it was a can’t miss No. 1 record. The Iowa State inspired Nike Air Force Ones pictured above are my favorite ones that Alexa Middleton has dropped on the culture so far. The talented Cyclone basketball player also has a real knack for the art of customizing sneakers. Her work seems to improve with each project that she post on her LexOriginals Instagram account. As Middleton prepares for her final college season, it’s evident that she’s got a gift that can keep her around the sneaker industry long after she hangs hers up. One of my favorites I’ve done so far. Sometimes you have to mix your own colors! I was fortunate to train Andraya Carter twice a week in a small gym with no air conditioning starting 13 years ago. Right away, there was a unique ability from a talented sixth-grader to lock in despite the warm conditions. Since then, Carter has always shown the skill to be three things at whatever she sets her mind to at the time: articulate, focused and passionate. 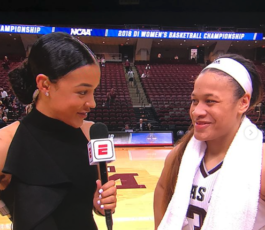 After finishing her playing career at the University of Tennessee in 2016, Carter is now using all three of those traits to pursue a career in sports broadcasting. In just her second season, she has been selected to call the NCAA Regional Rounds this weekend in College Station, Texas for ESPN. Women’s basketball is receiving more television time than ever. In addition, the premier analysts are also getting game assignments on the men’s side as well. Debbie Antonelli, Doris Burke and Kara Lawson are all calling NCAA Division One Men’s or NBA games on a consistent basis during the 2017-18 season. Burke (ESPN) and Lawson (Washington Wizards) are almost exclusively working with the NBA making a full-time living off of broadcasting the game they played at a high level themselves. With her wealth of knowledge and ability to talk about the nuances of the game on the fly, don’t be surprised to see Carter’s name amongst the best in the game sooner than later. Away from the microphone, she is locked in as an elite skill development trainer as well working with both the CoachHemi.com and Elite Basketball Academy showcase series. Custom sneakers are as popular as they’ve ever been. The artist takes a base sneaker and adds a unique design to make the shoe specific to the buyer’s requests. Hailing from New York, Jon Ruiz is one of the game’s emerging faces. 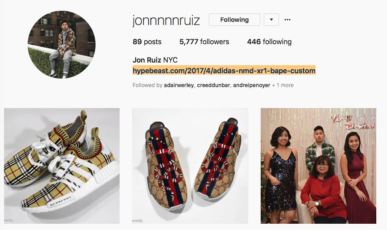 He’s got almost 6,000 followers on Instagram and his work has been featured on various IG feeds including Hypebeast. Ruiz represents the new school of business owners. He’s found a unique nichè market and is running full steam to the top of the game. Ruiz’s dedication to his craft and willingness to provide first-class customer service make doing business with him an easy decision. I’ve purchased 10 custom designs to date from his collection. Denim . -S/o to my man @brandonclaypsb for being a constant supporter. This is his 10th customized shoes. 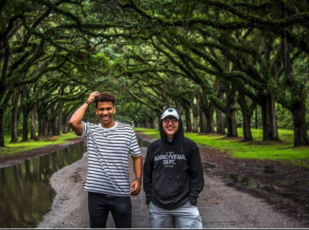 Parallels Media Group was founded by Jordan Davis and Larry Rhinehart in the summer of 2017. 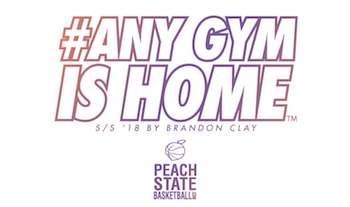 Both have been instrumental to the growth of PSBPopCulture and the parent company of Peach State Basketball, Inc. long before they teamed up to put an official title to their work. Based in the Atlanta area, they produce media content of all types having traveled nationwide for jobs over the past two years. Thank you @brooklynbyerly & @justinmattox82 for letting us capture your big day! Video coming soon! The gem of the album slated to release next month might be the brand new track “Right or Wrong” featuring Future. 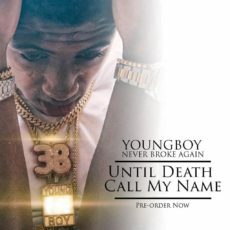 Youngboy talks about dealing with the gambles that have had him in trouble with the law over the past couple of years and his sons amongst other topics. Meanwhile, Future gets back to his early 2017 flow that produced two No. 1 albums. 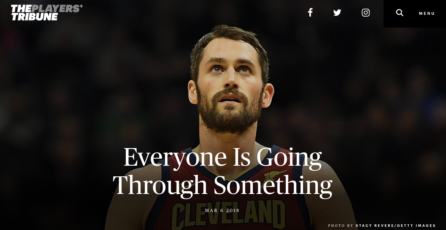 On November 5th, right after halftime against the Hawks, I had a panic attack. It came out of nowhere. I’d never had one before. I didn’t even know if they were real. But it was real — as real as a broken hand or a sprained ankle. Since that day, almost everything about the way I think about my mental health has changed. I’ve never been comfortable sharing much about myself. I turned 29 in September and for pretty much 29 years of my life I have been protective about anything and everything in my inner life. I was comfortable talking about basketball — but that came natural. It was much harder to share personal stuff, and looking back now I know I could have really benefited from having someone to talk to over the years. But I didn’t share — not to my family, not to my best friends, not in public. Today, I’ve realized I need to change that. I want to share some of my thoughts about my panic attack and what’s happened since. If you’re suffering silently like I was, then you know how it can feel like nobody really gets it. Partly, I want to do it for me, but mostly, I want to do it because people don’t talk about mental health enough. And men and boys are probably the farthest behind.